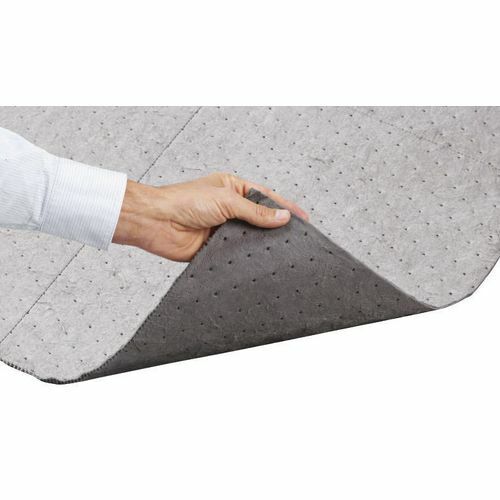 Nitrile rubber duckboard mat with a replaceable absorbent pad. Use in wet or oily areas. 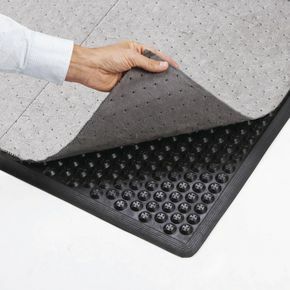 Rough gripper surface and raised ramps prevents mat creep. Bubble design and moulded air pockets provide anti-fatigue properties.